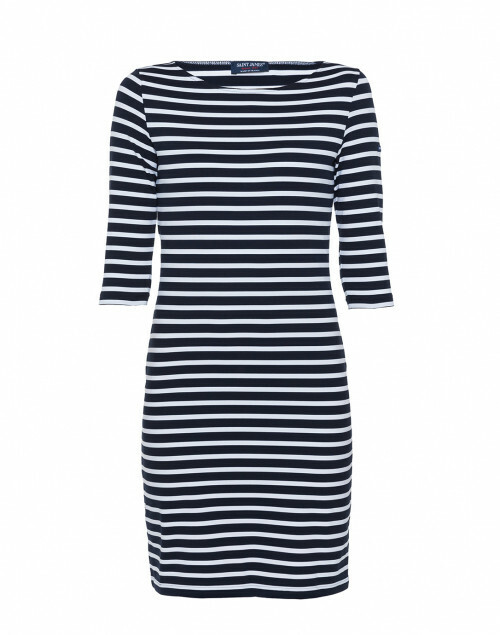 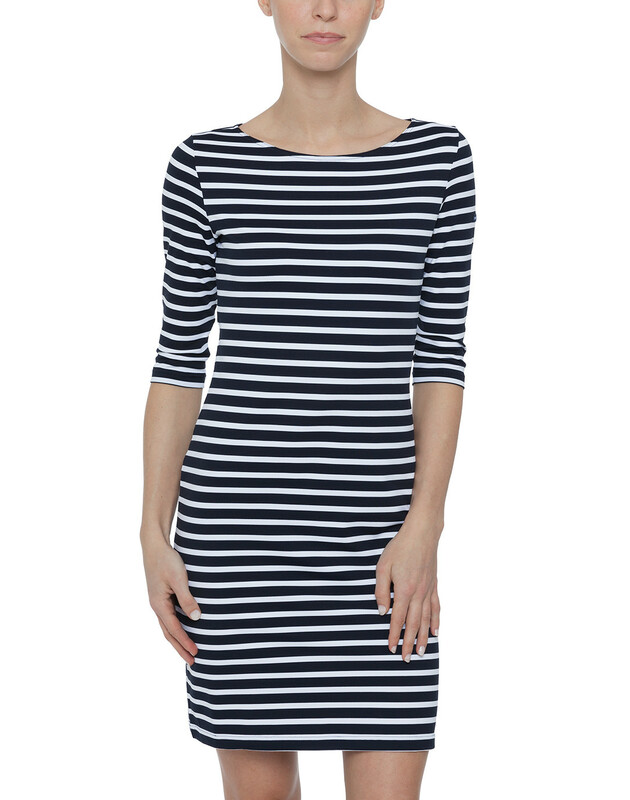 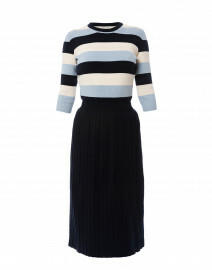 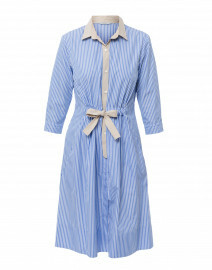 Renowned for their trademark stripes, Saint James has cut their popular horizontal design into a chic, everyday dress. 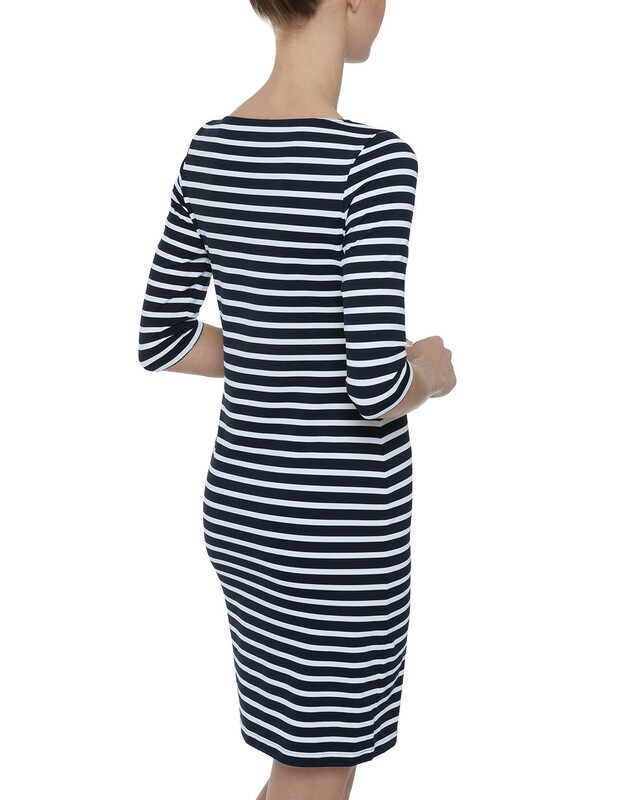 This navy and white striped dress is crafted from super stretchy Meryl U.V. 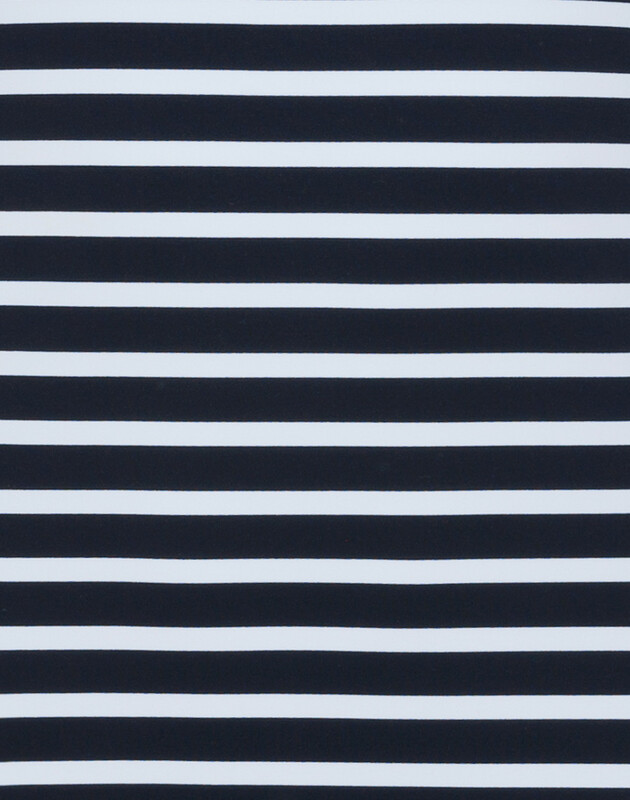 Skin Protection microfiber, which is designed to protect your skin from the sun. 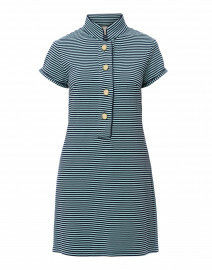 Combining utility and style, this lightweight, breathable dress is truly versatile piece. 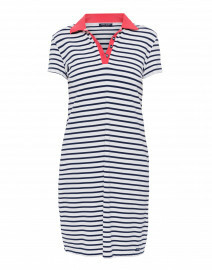 Pair it with espadrilles and a tote for a put together casual look. 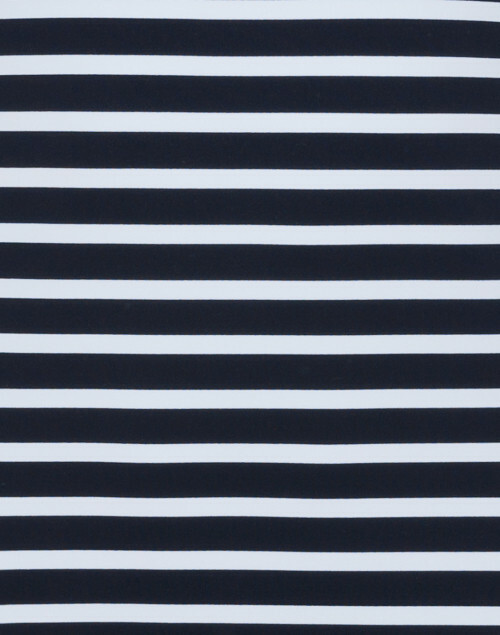 Length 36.0" 36.5" 36.75" 37.0" 37.25" 37.25" 37.5"
Shoulder Width 13.0" 14" 14.75" 15.25" 16" 16.5" 17.25"
Bust 30.0" 32.0" 34.0" 36.5" 38.5" 40.5" 42.5"
Waist 27.5" 29.75" 32.0" 33.5" 35" 36.5" 38"
Hip 31.5" 33.5" 35.5" 37.5" 39.5" 41.5" 43.5"
Sleeve Length 14.5" 15" 15.5" 15.5" 15.75" 15.75" 15.75"